$1,000 face value. Half or quarter-bags available at no extra charge. 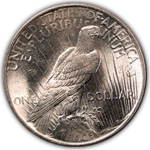 All rare coins available. Made from 1948 until 1963. 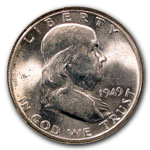 Benjamin Franklin was the first real person "who was not president" to appear on a coin designed for circulation. Good/Very Fine condition. 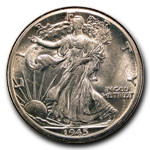 Made from 1916 to 1947. 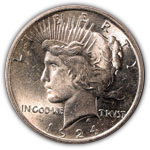 The last regular-issue coin to depict Miss Liberty. Good/Extremely Fine condition. 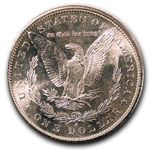 Minted 1916-1945. Also known as Winged Liberty. Circulated. 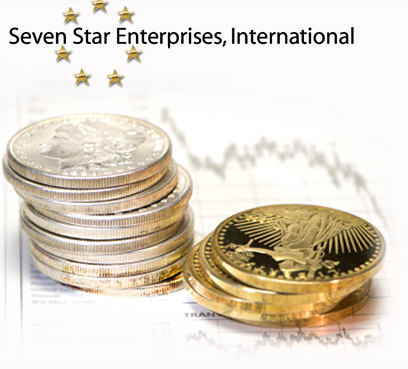 Very Good/Very Fine condition (ask us about higher grades). 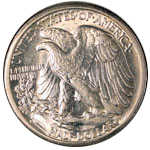 Minted 1921-1935. Issued to commemorate the end of World War I. 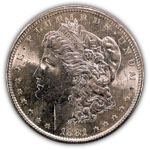 The Morgan Dollar was issued 1878 to 1921. It is named for the designer, George T. Morgan. 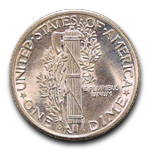 The Roosevelt Dime has been in production since 1946. 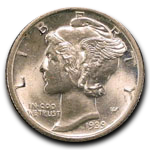 Prior to 1965, it was composed of 90% silver and 10% copper. 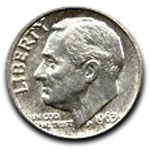 The Washington Quarter prior to 1965 contains 90% silver. 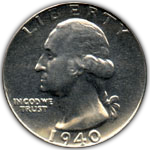 It was first minted in 1932 to commemorate the 200th anniversary of George Washington's birth. 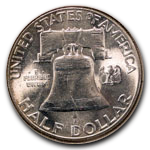 Kennedy halves produced in 1964 have a 90% silver content. From 1965 to 1970, they are 40% silver. 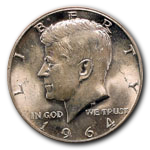 The Kennedy half dollar dated 1776-1976 was issued for the Bicentennial and is worth face value.